manufacturers and suppliers of Chimney, Hydraulic Press, Pipe Line and Angle Channel Bending Machine. Our products are manufactured using optimum quality raw material and have wide industrial applications. We also provide services of Plate Bending Job Works, which are reliable and are performed under expert supervision. We have appointed a team of well-qualified professionals, which has vast industry experience and holds in-depth knowledge of the domain. Our team manufactures supreme quality products to supply to the clients. With all their hard work and efforts to fabricate an efficient range of products. 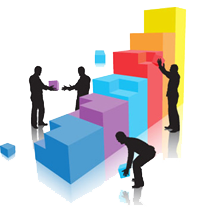 The infrastructure helps in executing business operations in easy and sophisticated manner. Besides that, we are well-equipped with all the latest technologies and tools that help out in smoothing the business processes. Moreover, we are also well-equipped with a quality testing unit in our establishment, which helps to keep a check on the procurement of raw material, products manufactured and also the machines that are being used in the business operations. Our manager, 'Mr. Hitesh Panchal', with his abled guidance has helped us garnering huge client base. It is due to his in-depth knowledge and vast work experience of the domain, that we are able to gain maximum client satisfaction. ALL TYPES OF HEAVY BENDING UPTO 160MM THKWe are one of the leading manufacturers and suppliers of Chimney, Hydraulic Press Machine, Pipe Line and Angle Channel Bending. Along with these products, we are also rendering services Plate Bending Job Works, that are rendered using supreme quality components and are performed with great precisions. The products supplied by us are manufactured using premium quality raw material. Our organization has recruited a team of well qualified and skilled members. The team has been provided with essential and latest technologies, that help in executing smooth and sophisticated production. Moreover, to simplify the assigning procedures, we have bifurcated our team into various sections on the basis of their qualifications and experience. As per the roles and qualifications of the personnels, the work is assigned to the them. They provide excellent Plate Bending Job Works. Seminars, workshops and discussions are conducted regularly to update the team about latest developments of the industry. ROLLING MACHINES : 1.5 mtrx10mm th, 2.0 mtr x 16mm th. 2.6 mtr x 40 mm th, 3.2 mtr mtr x 20 mm th. Rolling Machines : 1.5 mtr x 10mm th, 2.6 mtr x 40 mm th, 3.2 mtr x 20 mm th. Hydraulic Presses : 100, 200, 400, 500, 600 Ton. 49, GIDC, Por-Ramangamdi, Dist. Vadodara - 391243, Gujarat, India.